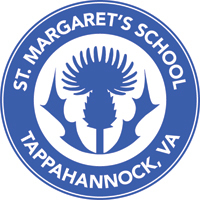 Founded in 1921, St. Margaret’s is an Episcopal, college-preparatory boarding and day school for girls, grades 8–12 and a postgraduate year. Our historic riverfront campus is located in Tappahannock, Virginia, a charming, safe town within 1–2 hours of Washington, DC, Fredericksburg, Richmond, Charlottesville, Williamsburg, and Virginia Beach, Virginia. The academic program at St. Margaret’s prepares girls for success in college and beyond by fostering lifelong intellectual curiosity. The academic structure is flexible with a readiness-based rather than grade level curriculum, and supports the three-tiered English as a Second Language program. We offer opportunities for independent study and internships, Advanced Placement/Honors courses in all disciplines, online courses through One Schoolhouse, and dual enrollment in college courses. With a 1:6 teacher-student ratio and an average class size of 10, all students receive support to become active participants in their education and achievement. At St. Margaret’s you become part of a sisterhood of friends who learn, live, and play together, building strong bonds and creating cherished memories. SMS is home, and residential life offers a structured and nurturing environment for students to try new things, take safe risks, and grow. Our Episcopal traditions honor our church school identity. We hold regular chapel services and compline, as well as special celebrations, such as Baccalaureate. Our weekend calendars are filled with shopping, eating out, attending socials with other schools, visiting museums and other cultural events, plus rooting for our Scotties at home and away games. There is time for you to pay attention to your personal well-being, and time for you to relax and pursue your interests so you grow into the person you want to be. Our Athletics program is about more than the outcome of a game; it’s about developing girls’ character through coaching, practice and teamwork whether on the field, on the court, or in the pool. Our 11 sports teams, 42-acre Athletic Complex, recreational programs, and after-school activities support health and well-being. Learning comes naturally on our beautiful campus on the Rappahannock River, where science in everyday life is a key part of our renowned River Program. We focus on scientific inquiry, field studies, project-based learning, and service as we explore the diverse environment around us. Recreational activities involve boating, fishing, skiing, tubing, kayaking, canoeing, paddle boarding, sailing, swimming, and much more.